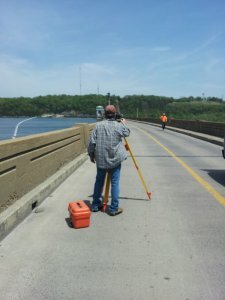 The Miller Companies continue to monitor the Bagnell Dam alignment. December 2014. See us in Under Construction - Pages 56-57. Miller Companies provides a full range of engineering, surveying and environmental services. Based in Osage Beach, Missouri, Miller Companies is centrally located to provide services throughout the state. Our firm was founded in 1970 and consists of Miller Surveying, Miller/Lindsay Engineering and Missouri Land Surveying. We utilize the most efficient and advanced methods and equipment available. Contact Miller Companies today for any of your engineering, environmental services, land surveying projects.